I'm Zahid Aramai, the designer of 500+ client's WordPress Website and I experiment with React Framework. I develop, design and manage client's website as well as fixing WordPress bugs. My #1 goal will always be to meet client needs and deadline. Before doing websites, I started my career as Engineer at Fortune 500 O&G company. Follow me on Facebook, Instagram, Twitter or read my blog. You can contact me for any Website services and support right now. Hi guys! I will be writing in this post regarding an impact of SEO to lazy loaded images as part of your website speed optimization especially in WordPress. If you wish to check my previous post of How to Change The URL of a Page or Post in WordPress, simply click here. Back to lazy loading, you can simply add lazy loading images to you WordPress by installing a free Lazy Load plugin for FREE from WordPress Library Repository. Unfortunately, you will gain incremental speed improvement as well as add bad SEO impact to your site. Therefore, I will provide the best lazy loading image solution that will improve your page speed and also removes all SEO negative impact from your website. Lazy loading has always been big discussion among the us, as a web designers but no one has got a proper solution to it. Luckily, one of my web designer friend introduce me the best solution to remove the negative SEO impact if you’re using lazy loading images. I will explain what is lazy loading and the best solution in this post. Which Hosting is Better for WordPress – DigitalOcean or WP Engine? Lazy Loading? What exactly it is? Basically, lazy loading will help to boosts page performance by delaying load of images in lengthy web pages because images outside of viewport (visible part of web page) won’t be loaded until user scrolls to them. Definitely, it will reduce your website page size (mostly images file contribute 80% to your total web page size) and load quite fast to your end-user. 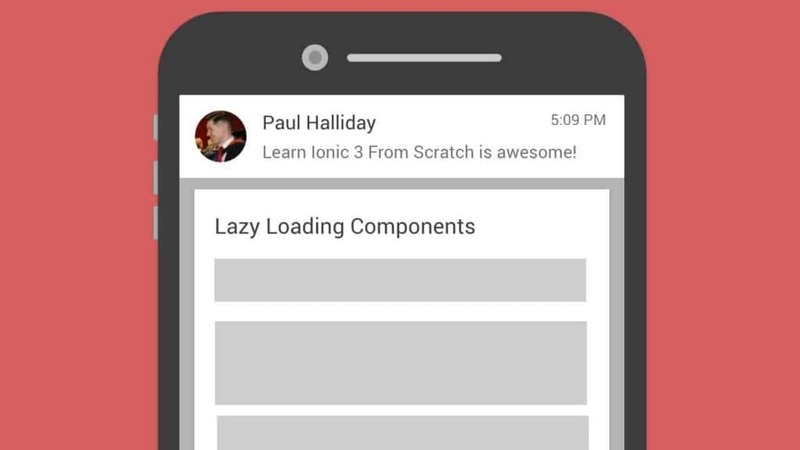 Then, how does lazy loading works? Above lazy.js detects when image enters your viewport screen and then assigns the data-img-src to the img src attribute. Simple is it? That’s how lazy loading working on a website. How does Lazy Loading give Negative SEO? Unfortunately, search engines robot do crawl src attribute in img element in your html only. Since lazy loading will keep the original image URL inside data-img-src until user’s viewport enter the image area, lazy loading will give negative SEO impact. Therefore they are not crawled by search engines. So, your images will never be found on any search engines. Don’t you want your website to be found easily on the 1st page of search engine? Then, how to mitigate this SEO negative impact from lazy loading while keeping your faster page loads. The only best solution to remove bad negative SEO is to assign the img src attribute with the original URL. That’s all! Finally, my conclusion would be….? It would be better to have a website that load blazing fast with SEO friendly. I would never implement anything that can give bad negative impact to my client’s SEO website. Therefore, I always design websites in such a way that they are SEO friendly and loaded quickly in any devices around the world. Stay tune for next tips! NEED URGENT HELP IN WORDPRESS? PAY PER HOUR. using a service where you only pay per hour. People don’t fully grasp how strategic Zahid is. I love that about him and count on it all the time. Zahid often breaks paradigms and has me rethinking the way I approach my business. Zahid always gives me something to think about – a new lens through which to examine my business. Zahid’s advice has helped me to make better decisions about my business, and manage my clients better. Zahid has been a source of wisdom and insight in business and product strategy, startups, entrepreneurship, and more. Zahid is one of those rare people who can take a difficult subject and make it easy to learn and remember. Zahid has a heart of gold and is willing to reach out and help. He has helped me in several ways both in WordPress coding and consulting with me on my business. He has been a blessing in my life and look forward to a long friendship with him. Zahid always drops knowledge bombs that makes me think about how I can evolve my WordPress-powered business. Even more valuable is that he does it in a way that makes drastic change seem achievable. Whether it's product strategy or a question about which plugin to use, I know Zahid will get me an answer faster than anyone else. Zahid is a great mentor, instructor and friend. He fills all these roles with a down to earth style and ease that actually encourages you to believe that success is within your grasp. My magic. Your idea. Beautiful crafted websites. PLEASE BUILD MY WEBSITE NOW!